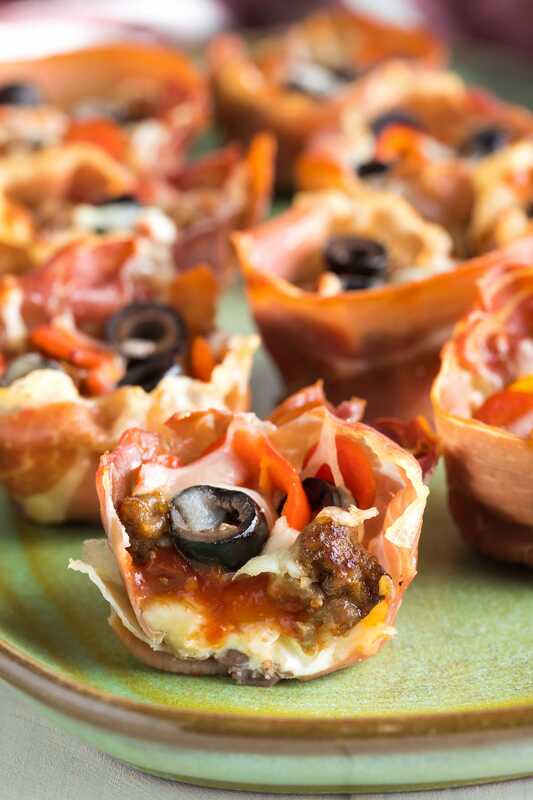 This easy Low Carb Supreme Pizza Cups Recipe is so inviting, you won’t even miss the crust! We’re keeping it low carb today with crustless pizza cups. 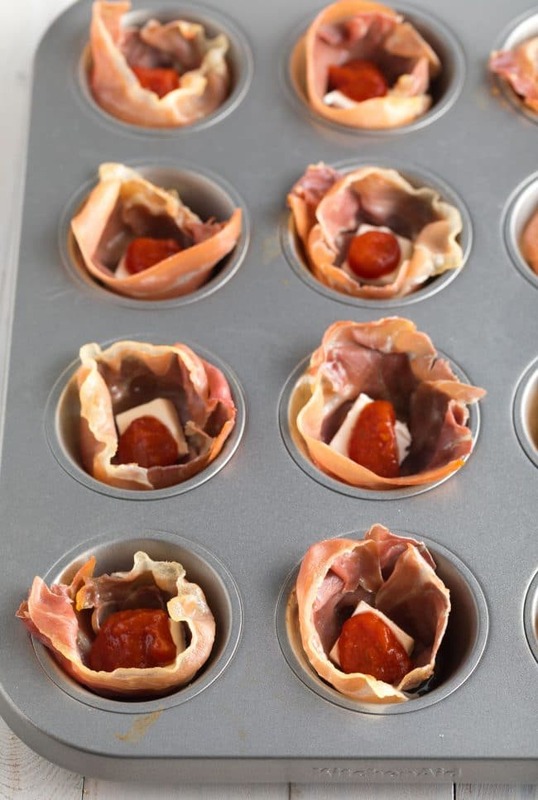 A couple years ago I shared a mini pepperoni pizza cups recipe, with itty bitty pizza bites baked in a pepperoni shell. 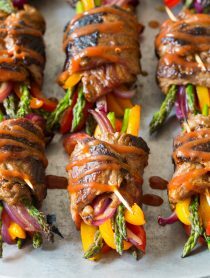 It was such a hit, we’ve been experimenting with all sorts of additional low carb party snacks. However, when you need to kick a comfort food craving, nothing beats pizza! So today I’m sharing a slightly larger, slightly meatier, pizza cup variation… Low Carb Supreme Pizza Cups. Instead of using a mini muffin pan, these little pizzas are baked in a standard-size muffin pan, so that each pizza is 4-5 bites, as opposed to one bite. They are more filling than the original and hold all the toppings on a classic supreme pizza. Yet they are just as easy to make! Actually, I think they are faster to make than the tiny pepperoni pizza cups. Prosciutto – Thin slices are best. Yet make sure they are not so thin, that they pull into shreds when you try to separate the slices. Italian sausage – Cooked and crumbled. Pepperoni – For this recipe, I like to buy the mini pepperoni slices. If you can’t find them, use standard pepperoni and cut the slices into little pieces. Pizza sauce – For ultra low carb, look for sugar free sauce. Cream cheese – For that little extra something in the bottom of each pizza cup. 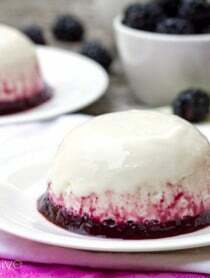 Mozzarella cheese – For the cheesy top. 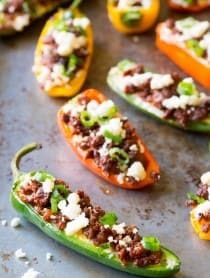 Bell peppers – You could also add jalapeno slices, or banana peppers. Onions – Sliced very thin. Black olives – sliced canned black olives are great, or you could mix things up with a different variety of olive. 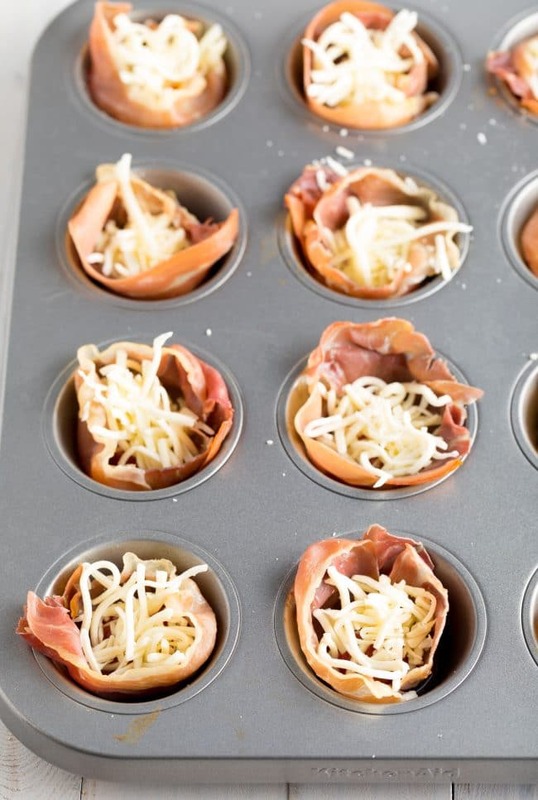 First things first, wrap a slice of prosciutto in each muffin cup. Make sure the ends are overlapped, so that as it bakes, it creates a solid cup. You don’t want the fillings to leak out. Bake the empty cups. This gives the cups a head-start on turning crispy in the oven. Add all the fillings. Use the fillings we recommend for “supreme pizza” or add you favorite pizza toppings. Bake again… Until the cheese in bubbly and the cup is crunchy. This easy Low Carb (Ketogenic) Supreme Pizza Cups recipe is so inviting, you won't even miss the crust! Little hand-held cups perfect for parties. Preheat the oven to 400 degrees F. Spray a 12-cup muffin pan with nonstick cooking spray. Fit one slice of prosciutto down in each muffin cup, overlapping the ends, to close any gaps. 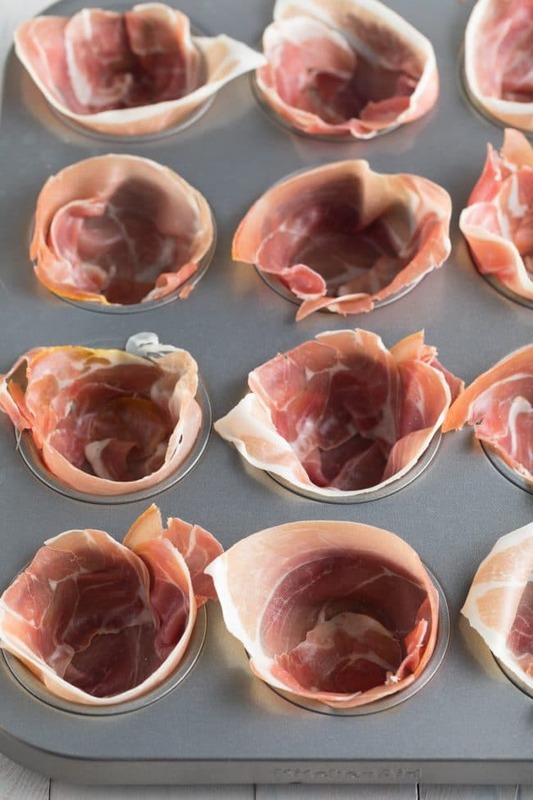 Bake the prosciutto cups empty for 5 minutes. 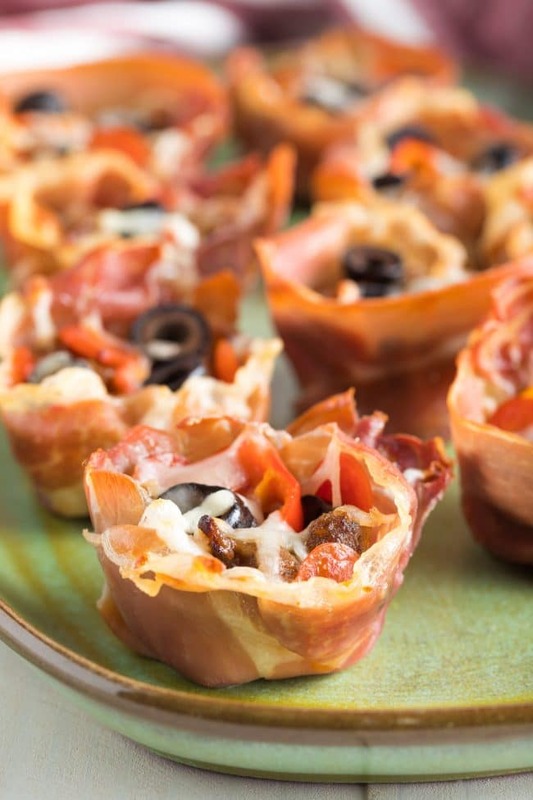 Place a 1 teaspoon dollop of cream cheese in the bottom each prosciutto cup, followed by 1 teaspoon of pizza sauce. Sprinkle sausage, bell peppers, onions, pepperoni, and olives in each cup. Then sprinkle about 1 tablespoon of mozzarella cheese over the top. Place back in the oven for 5-10 minutes until the cheese on top is bubbly and the prosciutto is crispy around the edges. These make great leftovers! Just be sure to leave them in the oven long enough that the prosciutto is crispy. I could get carried away with these appetizing snacks! What a great appetizer! What a fun appetizer or snack! This will be great for game days or just a fun night with friends. These are the perfect appetizer for friday night fun! These are SO good I can’t believe they’re low carb! These look so good, the prosciutto is a fabulous idea! could you use egg roll wrappers instead of prosciutto….. I really don’t like prosciutto. Is sandwich pepperoni big enough, or just stick with the mini recipe? These were a huge hit with my kids! 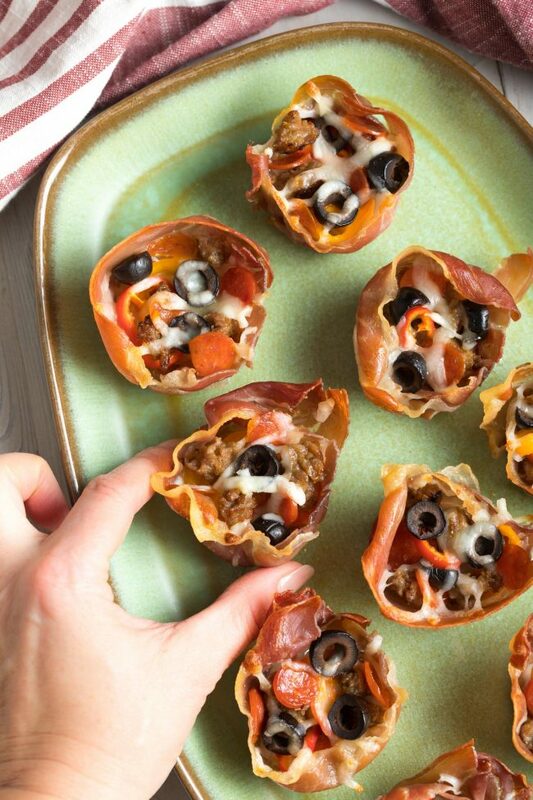 Not only are these pizza cups adorable, but they are also delicious! 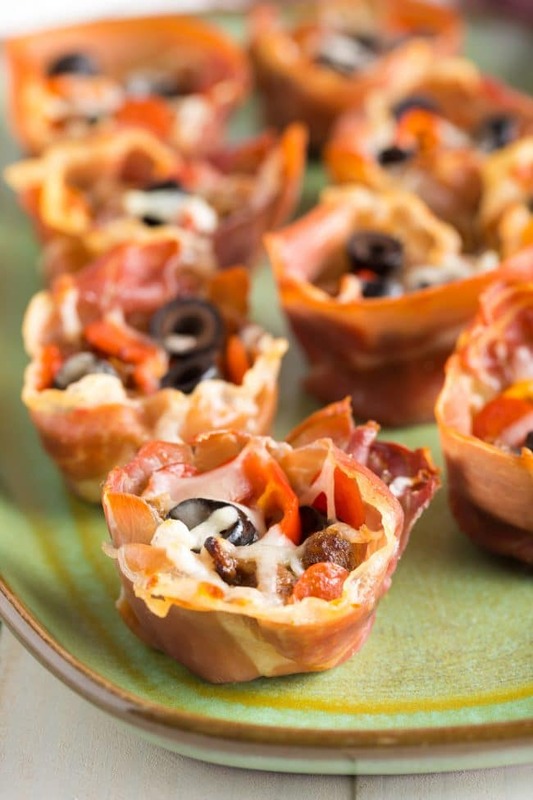 LOVE the prosciutto cups! Such a marvelous low carb appetizer! These are such great idea, so tasty!